In Reception we continue to follow the Early Years Foundation Stage curriculum which provides the Early Learning Goals children are working towards achieving. Children learn through a range of formal and informal teaching, child initiated and adult-led activities. The staffs provide a positive and nurturing environment where children grow in confidence and independence. They are taught the importance of being motivated, persevering when faced with new challenges as well as taking risks. At GPPS we recognise and value the importance of parent partnerships in supporting the development of the child. In addition reception children benefit from specialist teaching in PE, French, Music, Dance and Drama. Key Stage 1 comprises Year 1 and Year 2. Children are taught a range of subjects in accordance with the National Curriculum. Maths and English (including phonics) are taught daily by the form teacher. In addition they have access to a wider curriculum and have lessons in Science, Art, Design and Technology, History, Geography, Religious Education, Computing and PHSE. Subject specialist teachers take the classes for Science, French, Physical Education, Dance & Drama and Music. They are encouraged to take up individual music lessons with our peripatetic teachers in recorder, flute, piano, violin or cello. Children have regular opportunities to engage in educational visits outside the classroom to enhance their learning. Recent school trips have included the Museum of London, Verulamium and the Gunpowder Mills. At the end of Key Stage 1 the children sit National SATs tests. Prepares children so that they are able to fully participate in a rapidly changing world where work and leisure activities are increasingly transformed by technology. Encourages them to develop their knowledge and skills in computing with appropriate differentiation throughout the key stages. Encourages them to become independent and free thinking individuals with their own personal styles of researching and presenting information, coding and manipulating information. Computers, iPads and other technological aids are in constant use throughout the school. Children from Reception class upward have a weekly formal computing lesson and, where appropriate, are given access to use their IT skills to research and extend their IT skills in other subjects to communicate ideas and information in a variety of forms and styles, enabling them to enhance their learning experience. The aim of Computing teaching is that learners will be confident and independent in their use of ICT and able to solve problems across the curriculum. We also focus on developing the skills necessary for children to be able to use information in an effective way and to transfer and utilise the skills learnt to other applications. At the start of the children’s language journey, there is a strong focus on developing their speaking and listening, learning using songs, rhymes, puppets, stories and interactive games. As the years go by, children become more confident and are able to use longer sentences to talk and write about themselves, their family, their home and their school routine. Various activities such as roleplays, games, writing and reading comprehension and the use of ICT are used to suit the different learning styles. We also encourage the children to share their own experiences of other languages and cultures in special assemblies. Our aims at GPPS are to ensure that all pupils perform, listen to, review and evaluate music across a range of historical periods, genres, styles and traditions, including the works of the great composers and musicians. We learn to sing and to use our voices effectively, to create and compose music using tuned and untuned percussion on our own and with others. We aim to understand and explore how music is created, produced and communicated, including through the inter-related dimensions: pitch, duration, dynamics, tempo, timbre, texture, structure and appropriate musical notations. Beyond the formal curriculum, the school provides many exciting opportunities. All students are able to take vocal or instrumental lessons within the school day and the majority of students take a graded music exam each year. To enrich the curriculum, we have a weekly music assembly inclusive of all year groups and our very own, high quality KS1 and KS2 choir. Our musical diary is rich with performances within and outside of school such as the Harvest celebration, the Nativity, the Spring Concert and our Summer Show. Within each term, we celebrate our excellence in music by collaborating all our musicians to perform in a music assembly. We also offer the opportunity for the KS2 choir to visit and perform on prestigious London stages such as the Royal Albert Hall and the London Festival Hall. 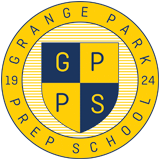 GPPS ensures that sport and exercise play an integral part in the life of every pupil at the school. Not only is exercise essential to a healthy lifestyle, it also provides a much valued balance to a challenging academic programme. We aim to capture the children’s enthusiasm, to ensure enjoyment and promote lifelong participation in sport. 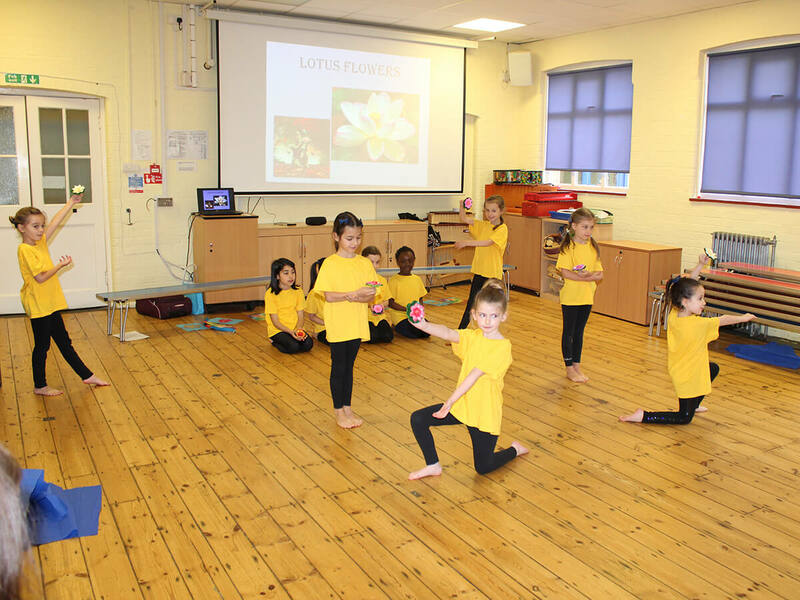 Physical skills are nurtured and developed at all levels and stages with every child, from Nursery through to Year 6 participating in a physical activity taught by subject specialist teachers and complemented with our extensive extra-curricular activities. Children from Year 3 – Year 6 use local offsite grounds to enhance their sporting experience. In Years 3 and 4 the children all participate in swimming lessons at a local pool ensuring that all the children can swim confidently and participate in the annual Swimming Gala held each summer term. The staff provide opportunities to represent the school in both friendly and competitive sports fixtures. These include District Sports Athletics Event at Lea Valley; district Cross Country competitions as well as entering teams in the borough gymnastics festival, netball, rounders and football leagues. Whatever their individual level of ability, participation in team events is crucial in teaching children to work as a team, to experiencing the challenge of sport in a competitive context, and to promoting an appreciation of the value of fair play and sportsmanship. Throughout the year there are a number of inter house sports competitions and an annual Sports Day. It is our firm belief that to enhance and enrich children’s learning, we are committed to the arts curriculum. The teachings of drama, dance and music therefore have their own place as subjects but are also planned into all aspects of the curriculum. Children have many opportunities throughout the year to perform; in class assemblies, poetry competitions, nativities, concerts and our pinnacle performance each year at a professional Theatre.